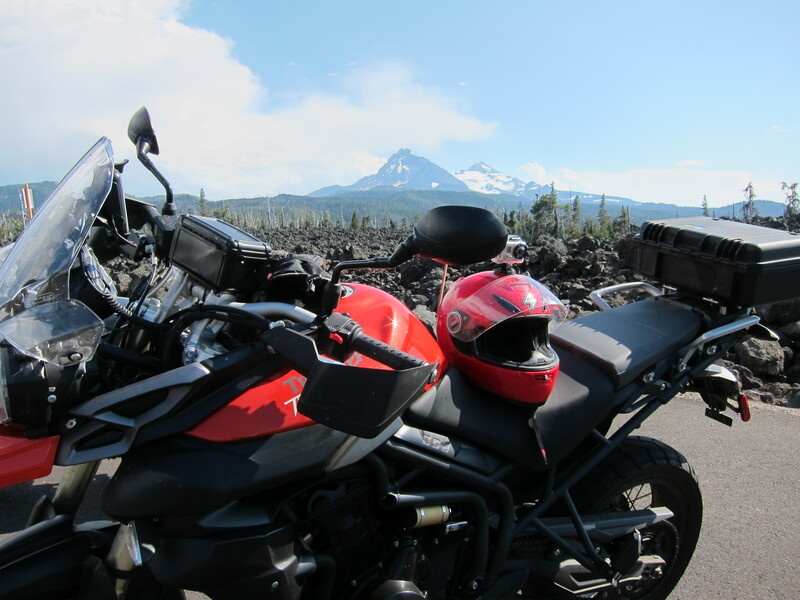 Making the McKenzie pass a riding destination is not a difficult decision to make. You will see what I mean by this when you see the videos I share on this report. My dear riding friends called me for a ride, and the destination was the McKenzie. 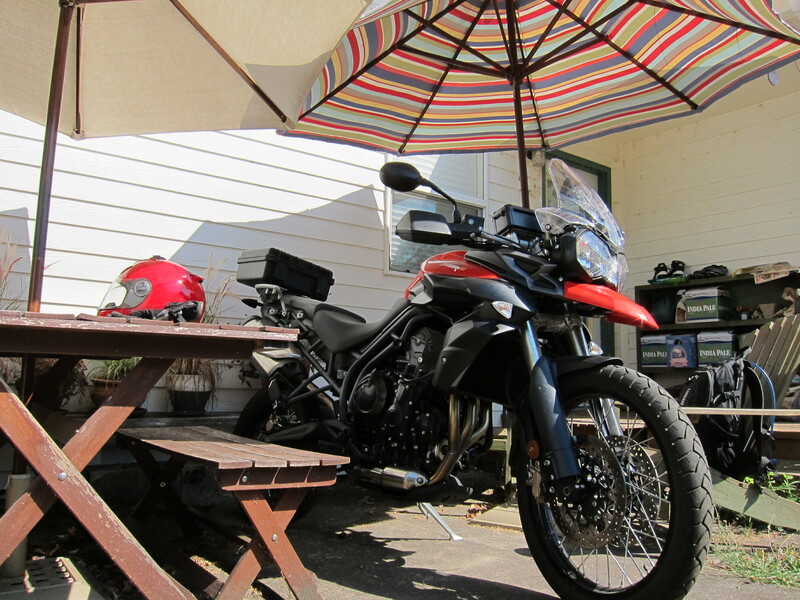 The hot summer day in Eugene took me to setting up the bike in the shade of the umbrellas. We collected everyone and our small group stops for a rest in McKenzie Bridge. 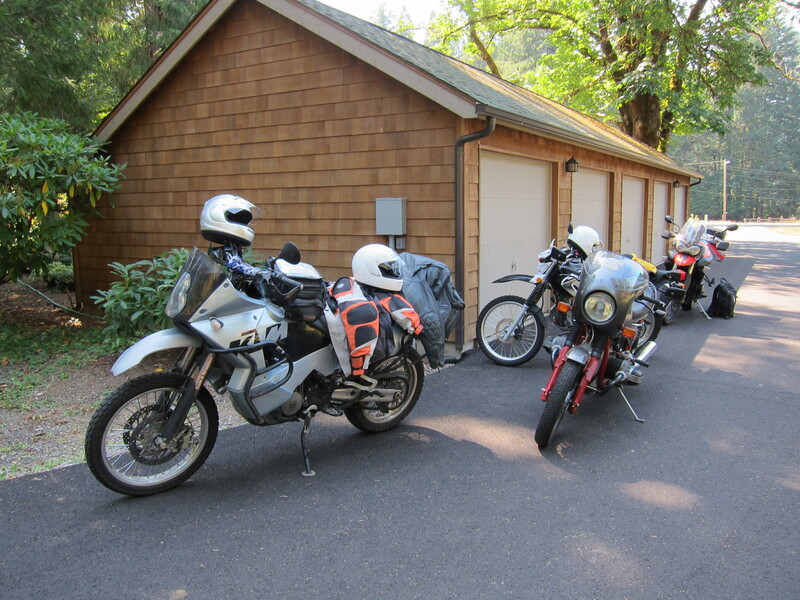 A varied set of bikes: 950 KTM, 225 Yamaha, BMW R100 roadster, and my Tiger 800 XC. 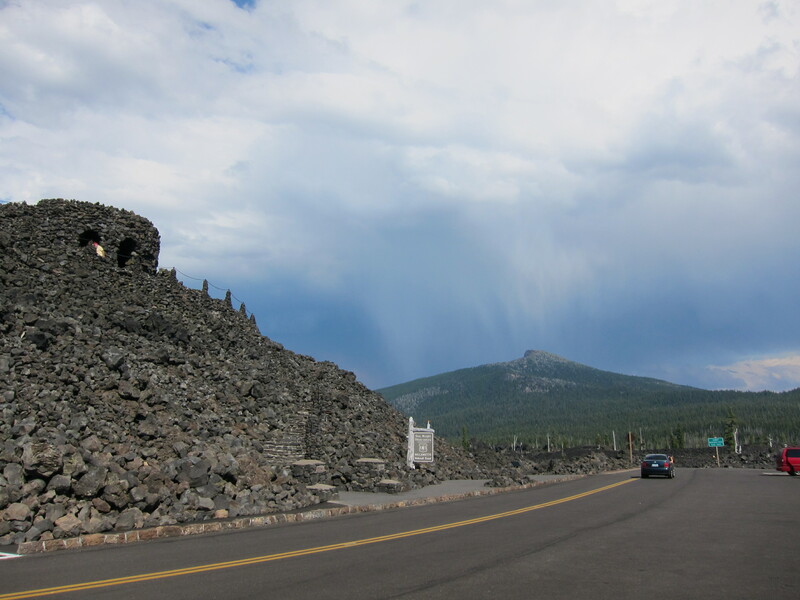 What makes McKenzie pass interesting is the number of curves on the way to the pass. It is one of those roads that explains what people mean when they say riding a motorcycle is like “flying close to the ground.” Here is a video, that shows it. On the video I’m following my friend Ken on his BMW R100 roadster. Even when I watch this video it gives me the sensation of flying. 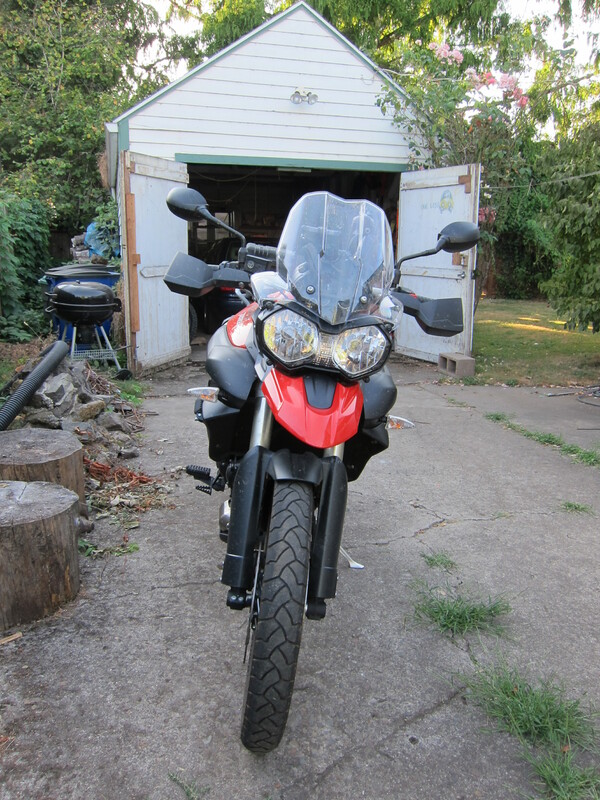 But when riding it, well, it is just really great. This bike only helps by delivering such a smooth acceleration. We got to the top. 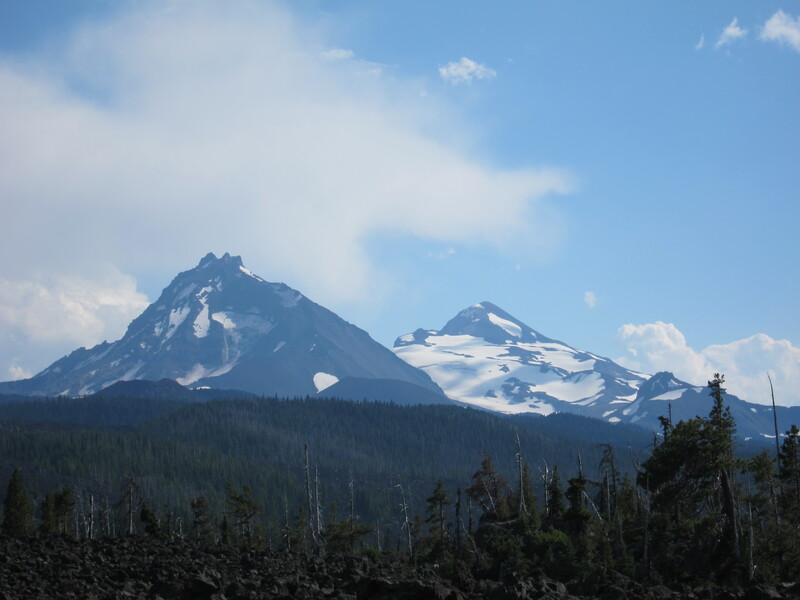 Where I said hello to the three sisters. The bike and the Sisters. The weather was changing. We heard some thunder to the east. Anyway, it was time to turn around and head back home. If you liked the previous video, here it is the same stretch of road, now coming down from the pass, backtracking on our own steps. 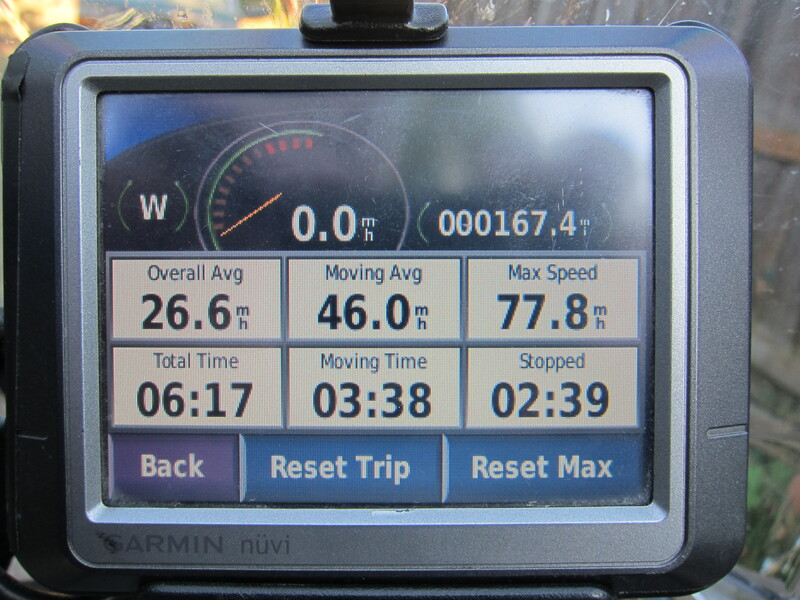 167 miles, 267 km. Not bad for a “ride in the park”. 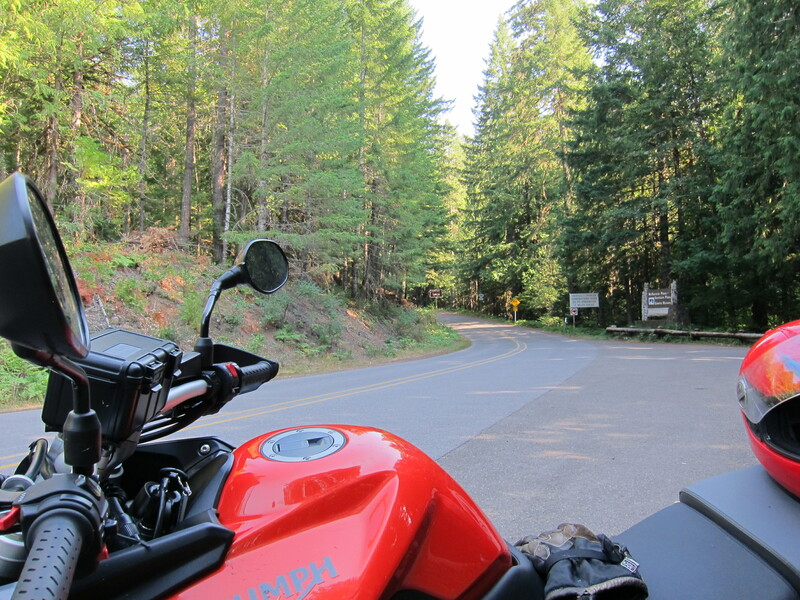 This entry was posted in Riding the Triumph and tagged 800XC, adventure riding, Cascades, motorcycles, oregon, Tiger, Triumph. Bookmark the permalink.